Welcome to Budgewoi Dental > Emergency? The sooner you take action, the better. Oral pain can strike quickly and hard so we have developed our clinical processes to allow the immediate provision of care for emergency patients. With our same day and wait time guarantee we excel in getting people the care they need, when they need it. Dental emergencies can literally occur out of nowhere and can cause severe damage to the mouth. If you’ve ever bitten into hard food and broken a tooth, or damaged a tooth playing sport or due to injury – don’t panic! Tooth n Care team can give you advice and treatment to repair your teeth and restore your smile. Even though your tooth enamel is very strong, and can withstand immense biting pressure, accidents will happen. If you discover a tooth which is broken, fractured, or chipped, contact us as soon as possible. With early attention, we can avoid the possibility of your tooth being further damaged or even becoming infected, which can result in your tooth requiring extraction. 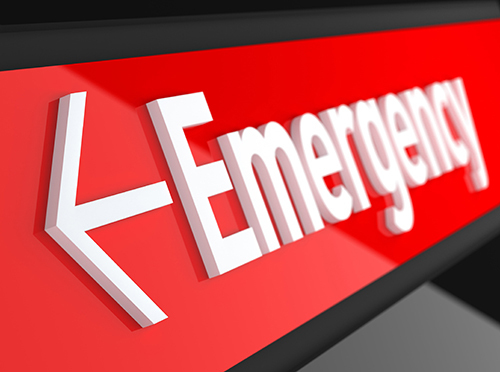 There are many situations that constitute an emergency, like a broken tooth, severe pain affecting teeth or gums and even the loss of a crown or filling. When To Call In An Emergency? An unexpected knock to the jaw can cause severe trauma to the mouth and it is advised that if you do encounter any such impact, that you first check teeth for signs of damage and contact the dental surgery. A quick consult will determine whether any treatment is required.A hit to the face can also result in a tooth being knocked out completely. If this is the case emergency dentists advise that you should avoid cleaning the tooth if possible and try to place it back into the mouth, in its original position and hold it in place until you arrive at the dental surgery. If that is not possible, placing it in a cup of milk is a good alternative. Calling us will ensure you are seen as a priority patient and your concerns will be addressed quickly. Sports accidents make up a large number of dental emergencies. The result of a knock can be a chipped or, worse still, broken tooth that requires immediate attention.A chipped tooth may not result in pain but there is a risk of underlying damage, which may not necessarily involve a nerve but still requires care. As with all teeth accidents, locating the broken part of the tooth is important. Whenever possible, your Budgewoi emergency dentist can work with the fractured part and re bond it to the remaining tooth. Regardless of the situation, there will most likely be the need for some sort of cosmetic dentistry to restore teeth to their original condition. Your dentist will talk you through the options available and discuss the required treatments prior to commencing work. Whilst it is rare, a filling or crown can loosen or come away from the tooth as a result of damage, decay or simply because the bond between the tooth and the filling has deteriorated over time. In most instances this is not necessarily deemed to be an emergency dental situation unless it causes severe pain. The newly exposed tooth can be rather sensitive to both hot and cold temperatures, though. Even air can cause distress. If this is the case, calling and asking for a dentist is advisable. In the instance of a crown falling out, if you are fortunate enough to locate it, keep it safe and take it to the dentist as soon as you can. It is important to note that the remaining tooth will not be as strong as it was when it was protected by the filling or the crown, so don’t wait too long as there could be more damage done to it or your gums in the meantime. For those that have experienced the sudden sharp pain of a toothache, you’ll know just how excruciating it can be. Unexplained pain in the mouth area, whether it be to the gums or teeth, can be very uncomfortable. Sometimes it might be caused from eating food that comes into contact with a decayed area of the tooth. Sometimes it may simply be because of hot or cold drink that impact on exposed nerves. Regardless, any pain that comes out of nowhere needs to be addressed. Not only is it going to be almost impossible to get through the day with throbbing pain but it could result in further infection of the tooth in question, including the gum area if it is left too long. Gums that bleed are typically a sign of existing periodontal disease. It’s very common. Whilst a small bleed is not an emergency dental situation, if you’ve recently had a tooth extracted and you cannot stop the bleeding it is important to seek professional assistance. In the meantime, make sure to bite down hard and apply pressure with the aid of a cloth until you can be seen. Those who rely on dentures understand just how important it is that they not only look as natural as possible but also are fitted to maximize comfort. Unexpected accidents can occur which could result in broken dentures and this definitely constitutes an emergency that requires prompt attention. A broken wire on your braces can poke or cut your gums or tongue. This is another situation that’s worth addressing fast. The best bet is to try to reposition the wire until you can get to see the dentist. Most importantly, never cut the wire!